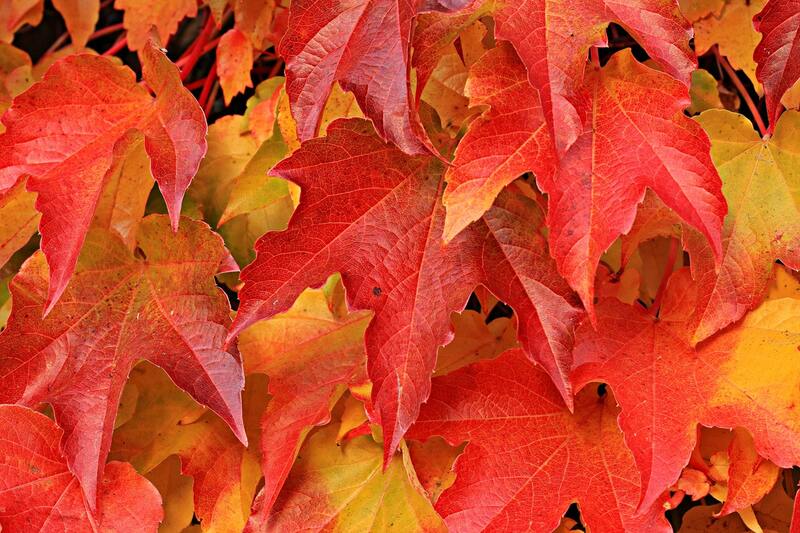 Sip your way to a better fall with these autumn teapots, mugs, and coasters! 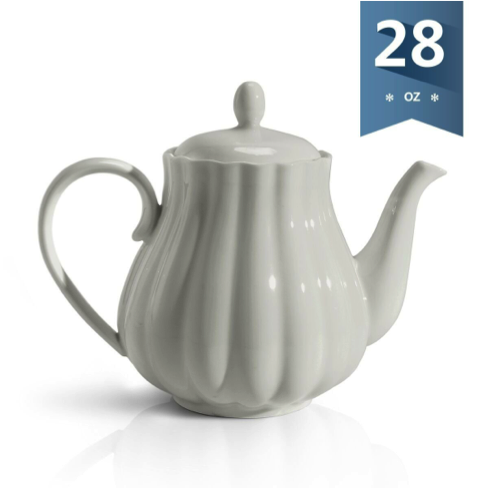 This porcelain teapot from William Ashley will help you get in the fall spirit with its elegant fall foliage pattern and a minimalist design won’t overwhelm. The teapot retails for $99 and is dishwasher and microwave safe. 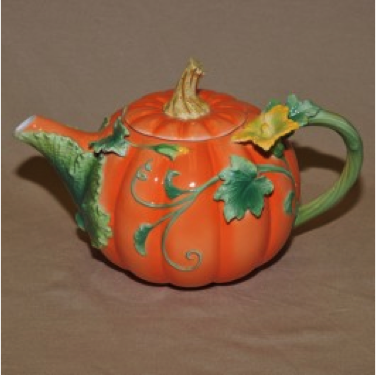 This porcelain, pumpkin-shaped teapot from Sweese holds 28 ounces and is on sale for $18.99. 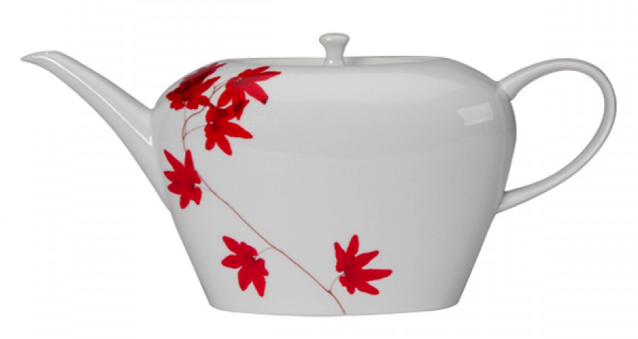 Available in white or pink, it’s a simple, classic way to put a little fall in your kitchen. These autumn mugs from Mary Elizabeth Arts are not only fall-themed, but can be customized to put you and your love’s initials on the tree! Two cermamic, hand-made mugs can be yours for $85. 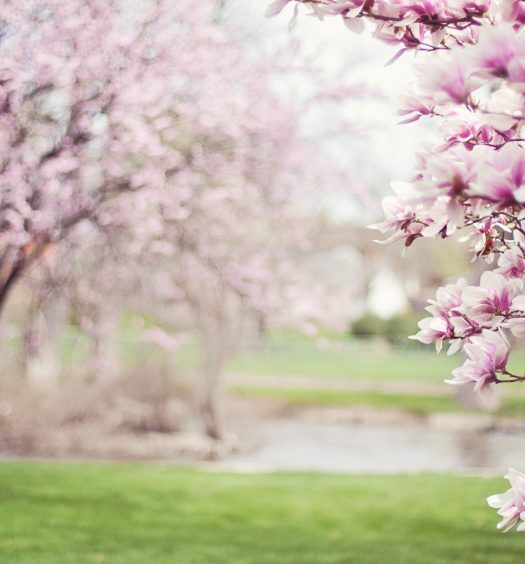 And if you want mugs for you and your better half for every season, you can change the leaves on the tree to summer leaves, spring blossoms, or winter snow! Great gift idea for your significant other. 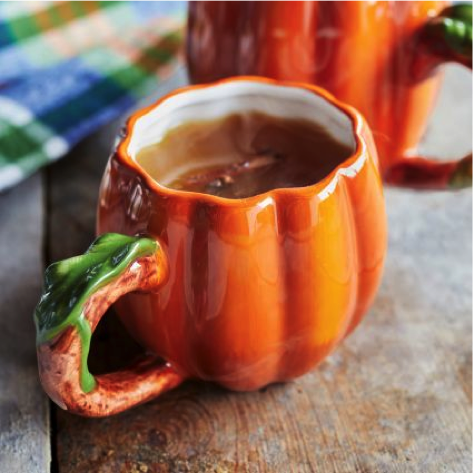 This pumpkin mug from Sur La Table will bring pumpkin to tea time all season. Each earthenware mug holds 14 ounces and goes for $10. What better way to wake up your sweetheart than with a spot of tea in this mug? 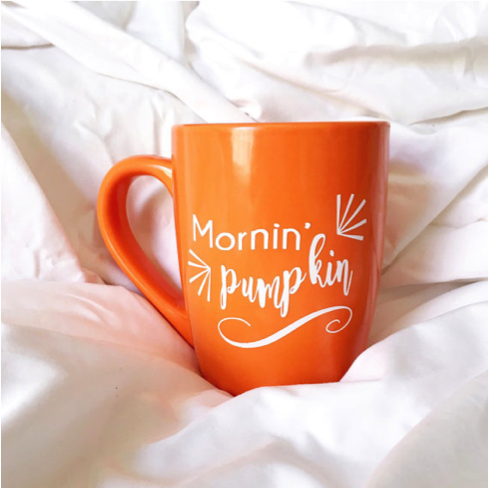 Each vinyl mug holds 12 ounces and can feature either an orange background with white text or a white background with orange text. 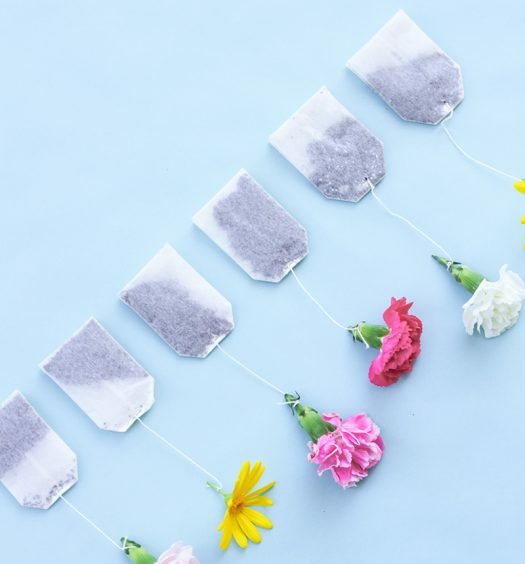 Each handmade mug retails for $11.99. 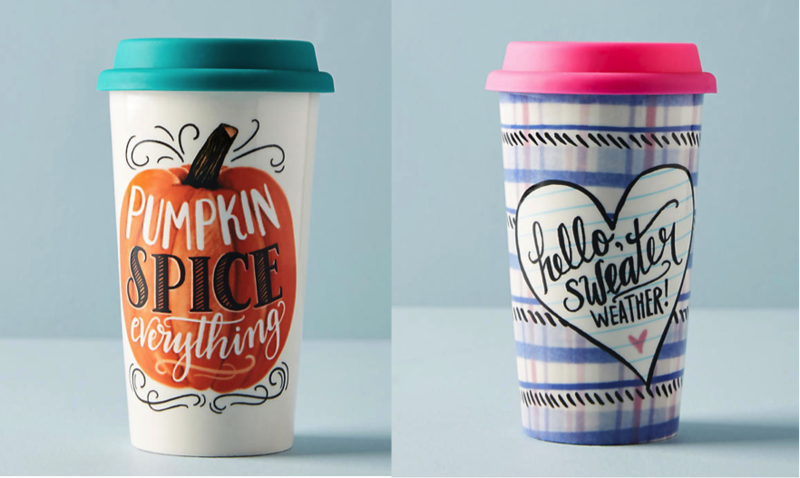 These travel mugs from Anthropologie will get you and your tea in the mood for fall. Each mug goes for $18 and is the perfect accessory to complete your fall ensemble while you’re on the go. 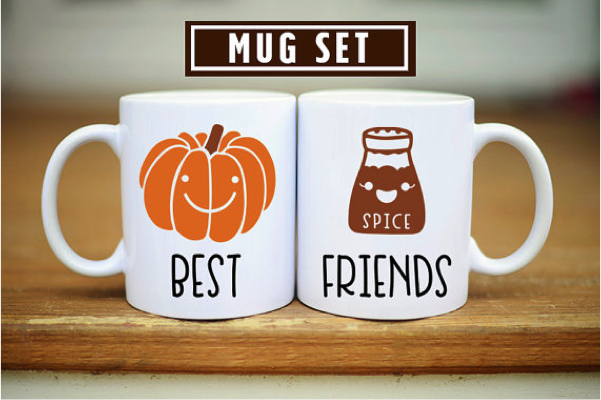 These mugs from Mugsby are a perfect set for you and your BFF. A set of 11-ounce mugs go for $24, and a set of 15-ounce mugs go for $28. Your friendship? Priceless. 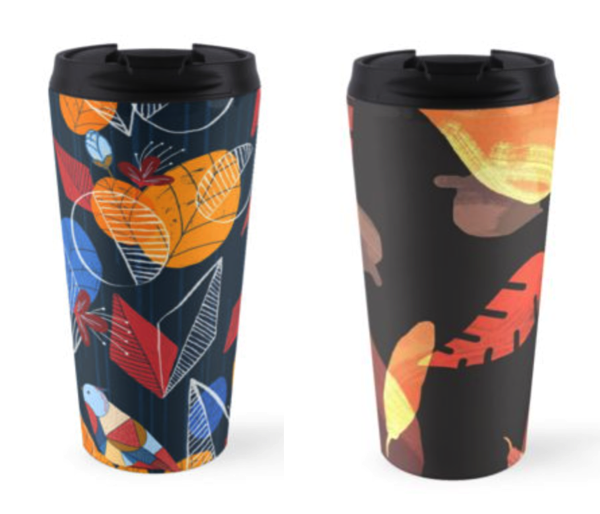 These travel mugs from Red Bubble exude call with their brightly colored fall foliage patterns. Each retails for $25 and holds 15 ounces. 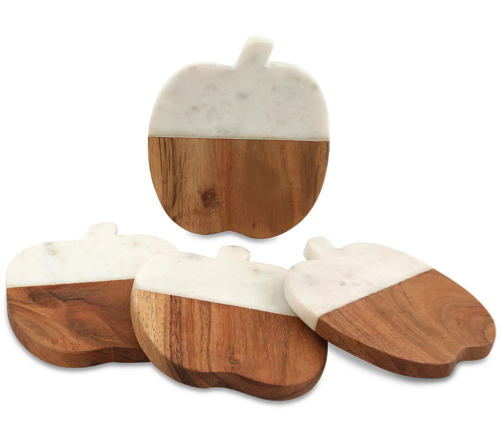 These stone coasters from Piper Lea Boutique are the perfect way to class up any autumn table setting. 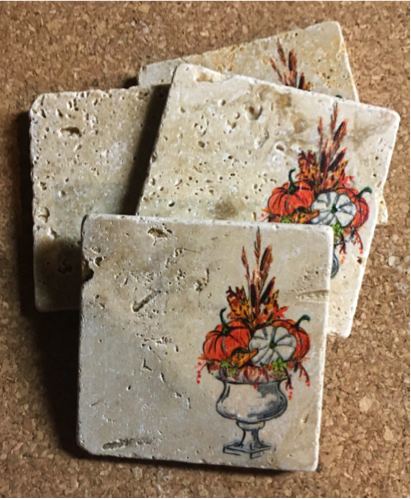 Made natural stone tile, each coaster measures 4×4 inches, is handmade, and features an autumn harvest image. Lacquer has been coated on the top to protect the image, and cork has been adhered to the bottom to protect any surface these coasters adorn. Four coasters are yours for $22. 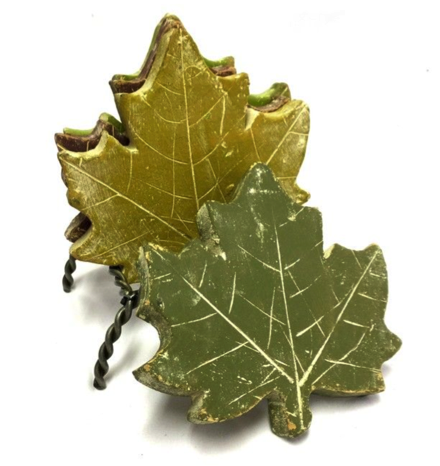 These maple leaf coasters from Houzz are a tasteful way to add fall spirit to your dining table. Made from clay, each coaster measures 6×5 inches and measures half a pound—hefty! Each also has a wire stand, turning the coaster into a display piece when not in use. A set of 4 retails for $19.95. These pumpkin-shaped coasters from Macy’s are on sale for $23.99 (regularly $39!). Each coaster in the 4-pack measures 4.5×4 inches and is made from a combination of marble and acacia wood. These elegant pumpkins will add a gorgeous accent to any dining or side table.